211 Grand Pointe Drive Palm Beach Gardens, Fl 33418 has been sold. MAGNIFICENT CUSTOM, 8190 SQFT UNDER AIR, 6 BEDROOM, 7.5 BATHS PLUS OFFICE, THEATRE AND GAME ROOM/FITNESS ROOM ON HALF AN ACRE WITH STUNNING VIEWS OF THE FIRST FAIRWAY ON THE EAST COURSE AT BALLENISLES COUNTRY CLUB COMMUNITY IS NESTLED IN THE PRIVATE GATED ENCLAVE OF GRAND POINT.THIS SPECTACULAR HOME OFFERS FORMAL LIVING ROOM WITH CUSTOM FIREPLACE, VOLUME CEILINGS WITH EXPANSIVE WINDOWS CAPTURING THE OUTDOOR PARADISE. CENTRALLY LOCATED WET BAR WITH WINE COOLER, BUTLER'S PANTRY AND SPACIOUS FORMAL DINING ROOM, PERFECT FOR ENTERTAINING. THE GOURMET KITCHEN OFFERS WOLF, MIELE AND SUB ZERO APPLIANCES, 2 DISHWASHERS, STEAMER OVEN, BUILT IN COFFEE/ESPRESSO, DOUBLE REFRIGERATOR, AND DOUBLE-DRAWER FREEZER. 211 Grand Pointe Drive located in Palm Beach Gardens, FL is a single family home with 6 bedrooms, 7 full baths and 1 half baths.The Home at 211 Grand Pointe Drive was built in 1999 in Ballenisles and offers a 4 car garage. 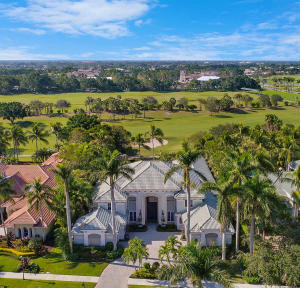 This Ballenisles Home offers pool, golf course, tennis, bike - jog, clubhouse, elevator, exercise room, game room, sauna, spa-hot tub, sidewalk, manager on site, putting green, street lights. 211 Grand Pointe Drive Palm Beach Gardens, Fl is currently listed for $1,945,000 under the MLS# RX-10391417. This Home has been put on the Palm Beach Gardens MLS system and currently has a status of SLD.